Warning: graphic violence in the above clip; be advised. If you’re going to get a person to play a heroic captain in Hollywood, you have to call Tom Hanks first, and then if he passes on it other people can take it. Hanks is the captain. Be it in space (Apollo 13), on the sea (Captain Phillips), or in the air (this Friday’s Sully), you want Hanks captaining your Hollywood version of a real emergency. 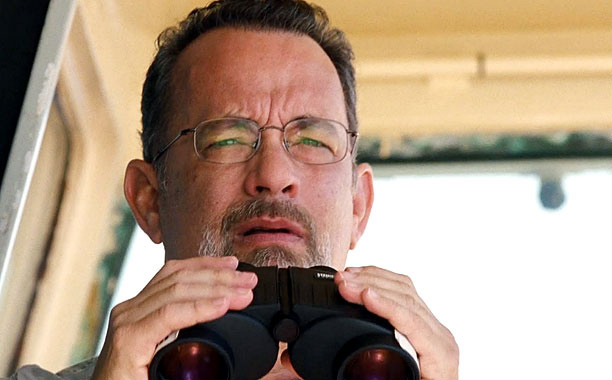 In Captain Phillips, Hanks played Captain Richard Phillips of the MV Maersk Alabama, a cargo ship that was hijacked by Somali pirates. It was the first act of piracy against a United States ship in over 200 years. Director Paul Greengrass is in United 93 mode here, not Bourne mode, and takes a documentary approach to the events as they culminate in Phillips in the ship’s lifeboat with the Somali pirates, who are facing the US Navy. As snipers try to get a shot on the pirates without hitting Phillips, the captain, who has kept a stolid reserve throughout the ordeal, begins to crack. The struggle with the pirates in the lifeboat, both mental and physical, is masterfully portrayed by Hanks and fellow Oscar nominee Barkhad Abdi. When the situation ends and Phillips finally releases that control; the emotion pouring forth is so genuine and so moving…it’s a scene to put in his portfolio with the best of his career. In the interests of full disclosure, I have family who work for Maersk and who were involved in the 2009 actual events. When the film was completed it was screened for Maersk employees, and I was lucky enough to be someone’s “plus one”. It was a really fascinating experience watching the audience watch the film, and I got the impression from the room that Greengrass and company had gotten things right in their eyes. At least in so far as Richard Phillips’ version of the events go. 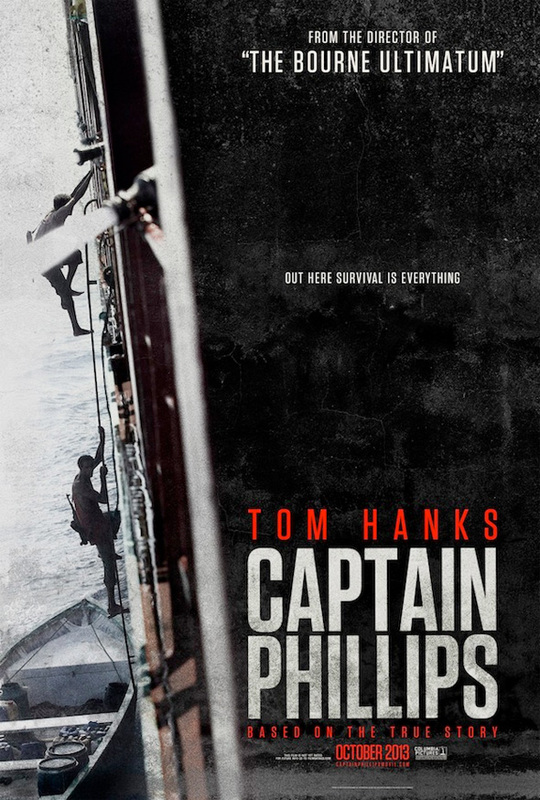 We’ll get to thatin a second, but as a film, Captain Phillips is one of Hanks best performances and snapped him out of a several year drought of poor choices. It was good to have the captain back at the helm and it will be great to see him embody another real-life hero this Friday in Sully. Not long after the event, there was a lawsuit from members of the crew alleging that Phillips knew they were skirting pirate territory, but that he was trying to make the company’s schedule at the expense of their safety. Here’s a report from CNN’s Drew Griffin from 2013 that examines those concerns, as well as a comprehensive Discovery Channel documentary of the incident. If that wasn’t enough, pirates attempted to attack the Maersk Alabama two more times in 2011, and then in 2014, two ex-Navy Seals were found dead of an apparent drug overdose onboard the vessel. After the Captain Phillips incident, many shipping companies took to hiring ex-military security contractors to protect their ships from similar incidents. What happened to the Alabama’s contractors is another chapter in a story of a ship that’s garnered a reputation as being cursed. Sometimes life can be even stranger than the movies.